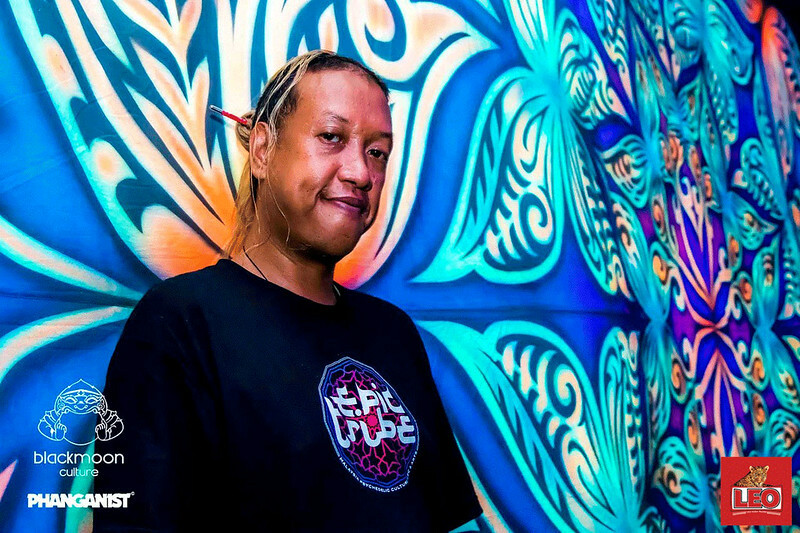 The Phanganist team was fortunate to have a sit-down with DJ Baburs (EPIC Tribe/Malaysia) who popped his Phangan cherry with a debut at Blackmoon Culture event recently on July 23. So, how did all began? It’s a long story. 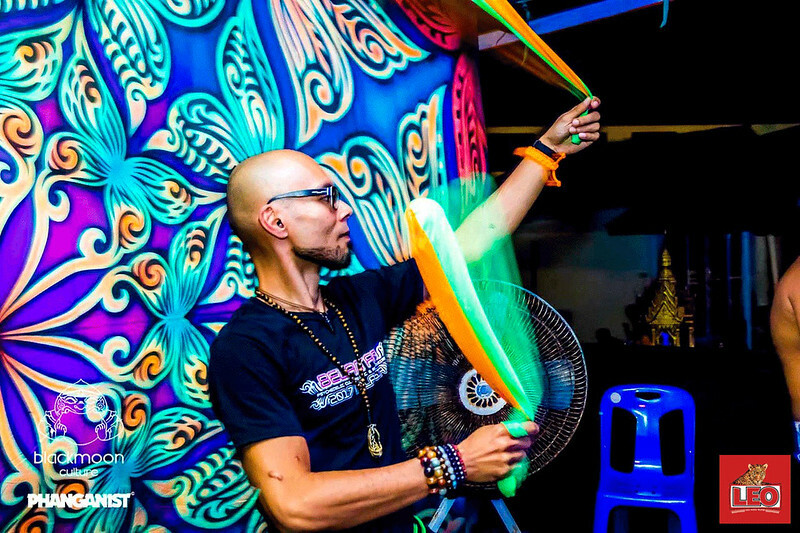 Back in 2008, I started playing Poi and at the same time started going for the Psytrance parties back in Kuala Lumpur. I’m not sure which one I started first, Psytrance or Poi. Probably both at the same time. Back then most of the Poi videos were using Psychill music from artists such as Kalya Scintilla, Desert Dwellers, Globular etc. It was then that I realised I prefer this style more than Psytrance. To me, it’s the perfect music to listen when playing Poi. I had a few songs but it was playing one track to another with the pause in between the tracks. It was quite annoying, to be in the zone, only to be interrupted and disrupt my flow. I searched for a mix in that style but I couldn’t find anything. They were mostly Ambient or Deep Trance mixes which weren't my preference to flow with. Maybe I didn’t search properly... I was relying on YouTube then. So, what does one do when one can’t find something? Make your own! When I was sure that this is a hobby that I really enjoyed, I bought Traktor with the sound card and a controller. Money well spent. 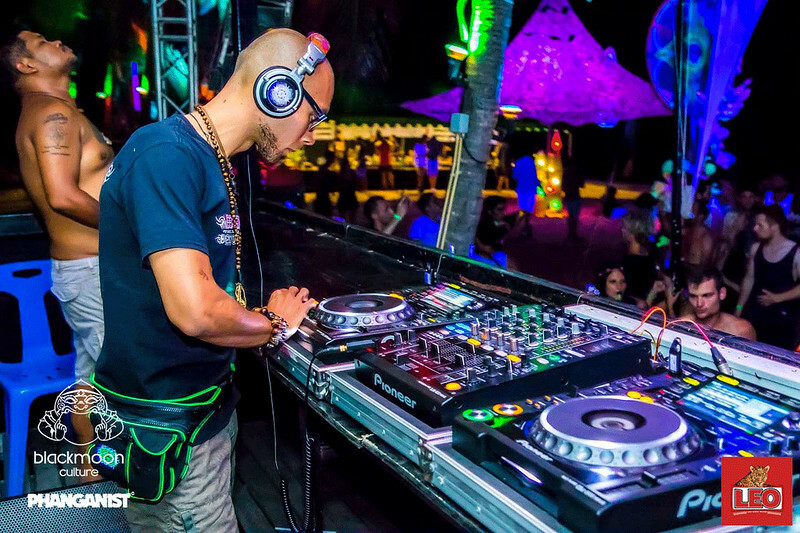 After using Traktor for a few years I moved on to CDJs for Psytrance sets and kept with Traktor for Chill Out. Along the way, I explored many different styles. Full On, Dark Progressive, Goa Trance, Dark Psy, Forest, Hitech, even Psycore! It was a fun time and it made me understand and appreciate the beauty, the complexity of the different styles in Psytrance. Through this exploration it made me realise what I enjoy most, which is Chill Out, Full On, and Dark Progressive. In 2014, I got invited to play a Chill Out set at a local festival and that’s when it kicked off. Following that, I played for a couple of EPIC Tribe’s parties before being invited to join the EPIC Tribe family. I also got signed up recently with Trimurti Records as a label Chill Out DJ. 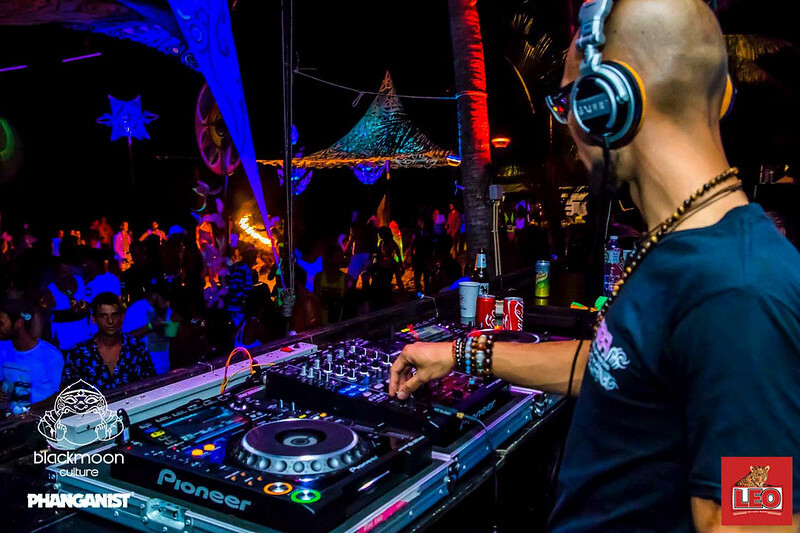 To date, I have played at several festivals and parties in Malaysia, Thailand, Indonesia, and Singapore. Why Psytrance and how does it differ from other trance the genre? One thing that really got me hooked to Psytrance, actually more to Psychill. Let’s just say Psychedelic Music. What got me hooked is the complexity of the arrangement of the songs. There are the basics: kick, bass line, snare, percussions. This part can sound repetitive, but what is amazing is the immense number of layers for the different sounds. The voice samples, the almost inaudible sounds in the background, the many different sound effects and filters used. I’m not sure but I guess there are more than 50 layers in a single track. The composition is mind blowing. The progression of the song, the way the energy builds up perfectly, influencing the emotions of the listener, it can make the eyes tear by the sheer beauty of it. It always leaves me in awe wondering what was going through their mind, their heart, their soul, when the artists are composing their masterpieces. Don’t get me wrong, I’m not saying that other music genres don’t share the same level of complexity. It’s just that, to me at least, Psychedelic Music has this ability to elevate the listener to a different state of mind if one just closes their eyes and focus on every single minute detail in the song. How I feel it is different from others, is the scene itself. It is very different from the other electronic scenes I’ve been to. Everyone is free to express themselves on the dance floor without a care in the world, without caring if anyone is watching. Free to dress however they want, and just be themselves. You know how there are some scenes where people are dressed up to the nines? The Psytrance scene is not like that and that’s what makes it so beautiful because we can rock it in anything we want to wear. I’m usually in a traditional men’s sarong when I’m at a festival. Gotta show some Malaysian culture / fashion to the world! The scene is also full of love. When you go to a party and/or festival, you come in as strangers and leave as friends who in time, turn into family. Besides that, this is the only scene (as far as I know of) that is very inclusive. We can get involved and help with setting up the decoration, contribute an art piece to be displayed, set up a booth to showcase your artworks, workshops and skill sharing session for Poi, Yoga, and many other art forms. I’ve never experienced this when I went to other raves or electronic scenes. When I started with Chill Out, I was really inspired by this one particular mix from Desert Dwellers, although I can’t remember the title of it now. It was a live mix at some festival. As I was listening to it I knew then that this is what I want to try to achieve. When I discovered Mixcloud, that’s when I found more mixes in the style that I love most! Most notably from DJ D.Rec. There’s this one mix of his that left me speechless. It was mixed so fluidly, with the perfect choice of tracks, and the journey he created with that mix left me feeling like I was lifted up to the sky by the gentle flow of the wind, landing softly on the fluffy clouds, lying on my back, gazing into the sky staring into nothingness, and slowly float back down to the ground as it came to an end. I listened to it so many times until I’ve memorised when the tracks are being mixed in! As for Psytrance, there are too many inspiring people out there. 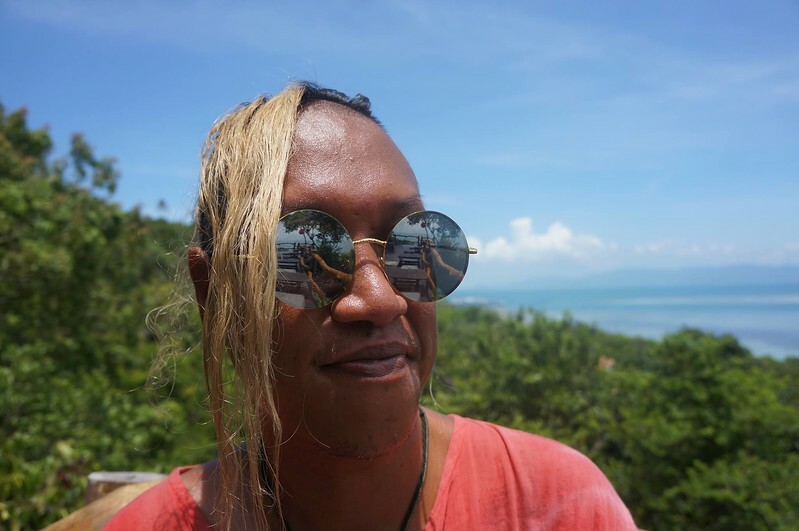 I really must give a shout out to Radzy, one of the founders of EPIC Tribe. He is very supportive and shared a lot of great advice on how to improve our delivery during a set. The best advice he gave is to be flexible, to be versatile, to be able to play morning and night sounds so organisers will have an easier time to sort out their time table. Another inspiration I should mention is Armin (Boom Shankar), the label manager of BMSS Records. When I first started, all my sets were pre-planned from start to end. 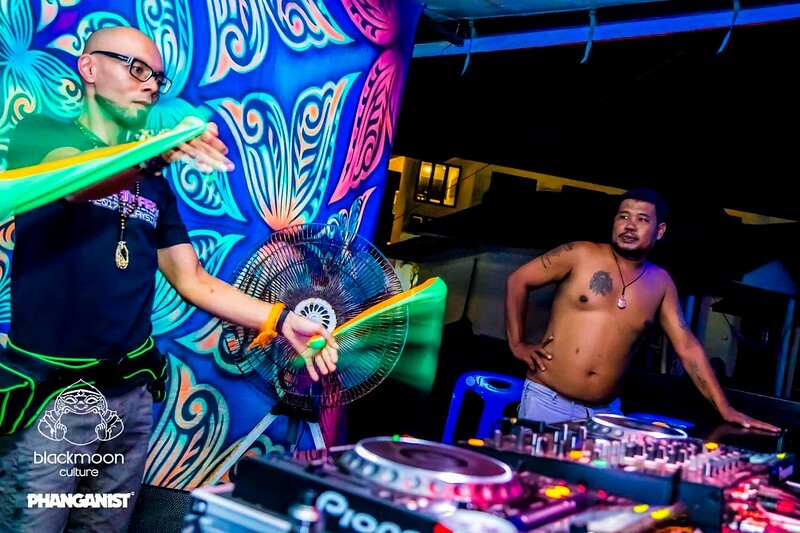 Just how big is the Psytrance scene in Malaysia? 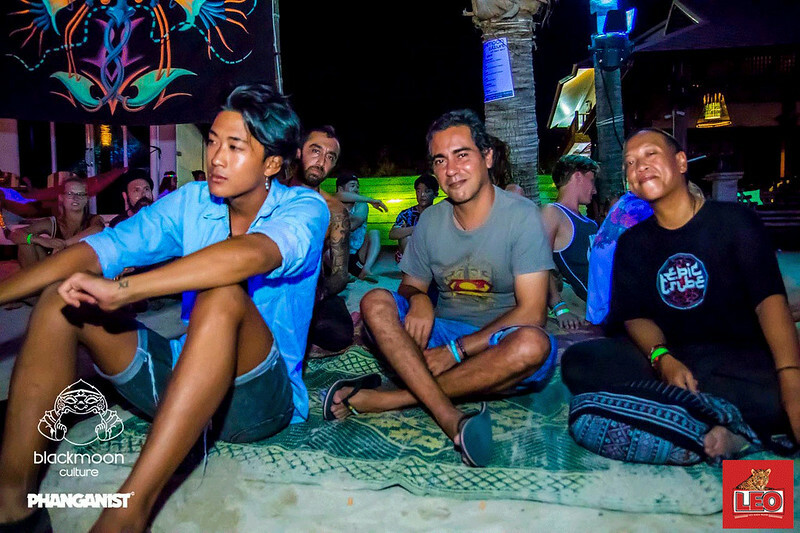 The Psytrance scene in Malaysia is quite young, about 10 years old so it’s in its infancy stage compared to other regions. It is steadily growing and started booming recently. 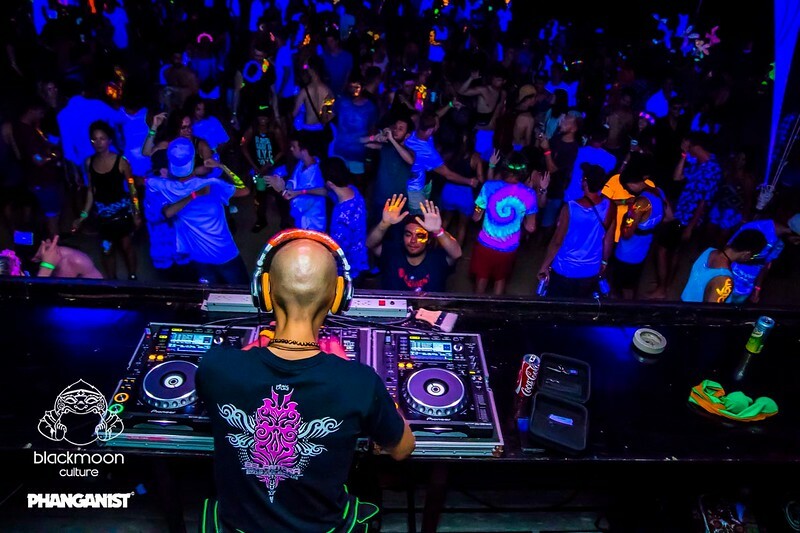 When EPIC Tribe started circa 2007, it was considered a lot to have a crowd of 50 people at the parties. Now, on average we have hundreds of people for our indoor parties in a cramped basement! That is a huge difference from struggling to get 50 attendees! 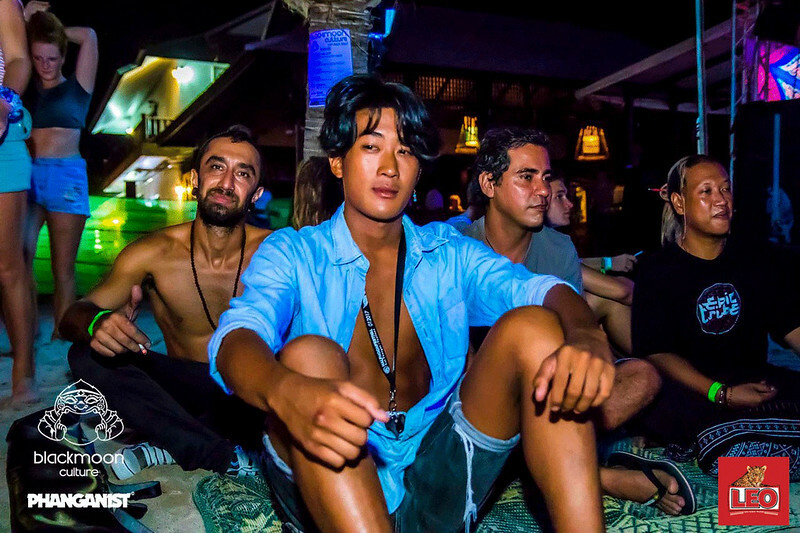 EPIC Tribe is Malaysia’s leading, and growing Psychedelic Culture, Music, and Arts collective. We don’t focus only on music. We put a big emphasis on the art and decoration in all our events. From stretch lycra, to airbrush art, string art, paintings, digital art, fashion accessories, and always open to more ideas. The best part is, most of the art displayed (not including the backdrops we bought) are all made by Malaysians. I myself am shocked by the number of hidden talents we have here! In terms of music, EPIC Tribe also has producers among our DJs: By The Rain and Radzy. By The Rain’s music, both Psytrance and Chill Out, has been released on BMSS Records, Trimurti Records, Quantum Digits Records, and more. Radzy, on the other hand, has several tracks under his belt although they are still unreleased at the moment. How did your Phangan debut go? I had a great time! I am so grateful to be able to experience that wonderful night. Thank you to P’Leung, Note, Jo Moontribe, and Radzy for giving me the opportunity to play for Blackmoon Culture. I do have to admit that it was nerve-racking. That has to be the biggest crowd I have ever played for. P’Leung and Note said there were about 1200 attendees that night? Crazy. The most I’ve played for is only a few hundred people and that already put a lot of stress on me! I was so nervous that I spent most of the time in my room practising before my set. Not once did I step into the sea! Can you imagine that, going to an island and not swimming in the sea? Ultimately, it was awesome to see the dance floor rocking, and the thanks I got after. It was a huge relief when I finished my set. All that stress I put myself through just went WHOOOSH and I could put my mind to rest. Where is your next gig? My next gig will be The Lost Valley Festival in China, organised by Goa Productions and Spirit Tribe, on the 1st to 3rd October 2017. 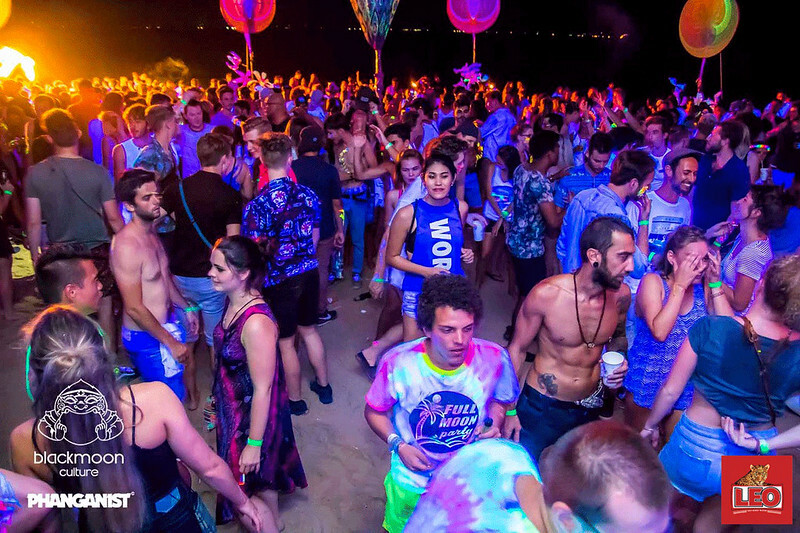 Following that will be The Experience Festival on Koh Tao, organised by Magic Phangan Productions, from 30th December 2017 to 2nd January 2018. I am really stoked for this! It’s their 10th anniversary and it’s a huge honour to play for this momentous occasion. I’ll probably be spending more time locked in my room, feeling all nervous and practising like a mad man before my set, than being out there, enjoying the festival. There are a few tentative gigs but nothing set in stone yet. WILL YOU BE BACK ON PHANGAN? Oh yeah! I’m definitely going to come back to Phangan and spend a few days on the island before and after The Experience. This time I’m going to make sure I swim in the sea! If I get to play for some gigs while I’m there, that’ll be a bonus!